Team Suzuki Press Office – July 29. Fresh from competing with Yoshimura Suzuki for the Suzuka 8 Hours World Endurance race, Alex Lowes is heading to the Sepang International Circuit, in Malaysia, this week to meet Voltcom Crescent Suzuki team-mate Randy de Puniet in preparation for round 10 of the Superbike World Championship. A top-six finish at Laguna despite a challenging weekend, followed by a stand-out performance and fifth place in his debut endurance race, leaves a confident Lowes ready to return to the World Championship. The British racer is hoping to reacquaint himself quickly with the Malaysian layout aboard his Yoshimura-powered GSX-R this weekend – last year’s opening action having concluded before it had really begun after the collision on turn two of his debut race – with a goal of running strongly in the front group for the final two races before the long summer break. De Puniet is looking to continue the impressive pace, found with his Suzuki Superbike during Friday’s practice sessions at the Californian track, over to the Sepang circuit. Having raced in the tropics throughout the majority of his GP career – with fourth place finishes on both MotoGP™ and 250cc machinery, alongside Suzuki GP testing duties as recently as February of this year – the Frenchman is assured he can improve further on the recent positive developments to secure a consistent and strong showing in Sunday’s two 16-lap races. 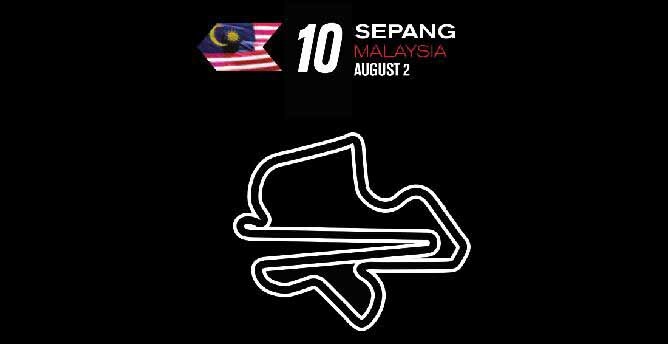 Located approximately 60kms from Kuala Lumpur on Malaysia’s central-western coast, the 5,543m Sepang International Circuit was opened in March 1999, after a record 14 month completion. The Herman Tilke-designed layout features 15 corners and eight straights, with the two consecutive main straights joined by a first-gear hairpin and measuring almost one kilometre apiece. Overtaking is commonplace at the high-speed circuit due to its wide nature, but the weather conditions remain one of the most complex features to navigate, with high temperatures, intense humidity levels and frequent rain storms affecting both rider and machine preparation and performance. Voltcom Crescent Suzuki will be on track slightly earlier than normal for round 10’s opening free practice session on Friday July 31st – at 10:00hrs local time (03:00BST) – with the second practice at its usual 15:00 (08:00BST). Saturday sees a normal schedule of two free practices – at 09:45 and 12:30 (02:45 and 05:30BST) – ahead of the afternoon’s Superpole at 15:00 (08:00BST), while Sunday’s races will run at 13:30 and 16:30 (06:30 and 09:30BST).